One thing is visibly clear to me. When it comes to cell phone providers, there are now plenty out there to fit any need or want. 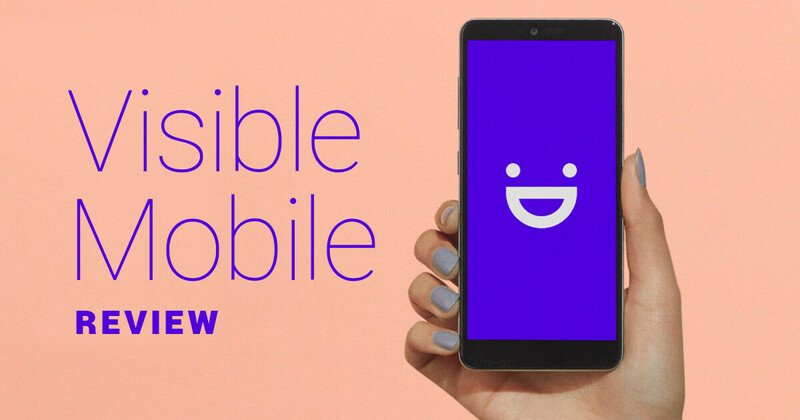 And now, enter Visible: a low(er)-cost, unlimited talk, text and data, cell service running on the Verizon 4G LTE network. Visible is a subsidiary of Verizon Wireless. So many do not consider it a traditional MVNO (Mobile Virtual Network Provider), like Ting, Tello and Twigby. I believe it was started to attract a younger demographic as their brand image certainly gives that feeling with the hip, bright and colorful look. They offer an all-or-nothing plan of unlimited talk, text and data for $40/month. Users are free from any other hidden fees. Sign-up via their app – and if you don’t like their service after a month or so, you can cancel without worries (or fees). I’d never heard of Visible before one of their friendly reps reached out to us to see if we’d like to try out their service. Always game to test-drive a new(er) provider, we were offered a Samsung S9 for trial. 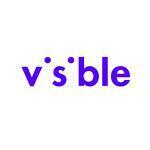 Since Visible had done a lot of the on-boarding for us, we didn’t get a chance to see how the sign-up process flowed. However, from reading some of the other reviews out there, it seems that many have had positive experiences getting onto the platform and set-up. We did see a couple of concerns for those using their own phones – but nothing major. Customers can easily download the Visible app and sign-up right through their phone using Venmo, PayPal, and debit / credit cards. Easy peasy. I was fortunate to use Visible on a recent road trip down to Texas to visit family. Since my Tello MVNO plan isn’t as robust in sketchy areas and I have limited mobile data, I thought it would nice to have something that I could count on while I went to and fro. And, the service performed like a champ every where I went. From Google Maps on the drive down, to streaming music on Pandora to checking emails at the hotel, everything hummed along great. Even tried a few phone calls and the connectivity was excellent. The only problem I experienced was receiving a call from Canada – as there was a bit of a delay after each of us talked. This could have been on the receivers end however – and not related to the Verizon network. While the network caps speeds at 5 mbps, I didn’t suffer any – except for when streaming video. Things just weren’t as “sharp” when connected to a WiFi or larger network with greater speeds. Visible says they offer DVD-quality at 480p. So, by now you may be asking what does their coverage look like. I think many providers are getting better at covering their bases these days with appropriately placed cell towers, leaving little gaps in coverage where needed. Visible is no different. But you can also bring your own. See if yours is compatible. From my month-long experience, I would rate Visible as one of the better lower-cost cell services you can find. While not as affordable as some MVNO players, they are in the “ballpark” in terms of thriftiness. And, if you are someone who travels a fair amount, requires big-network stability, it may be just what you are looking for. Have you any experience with Visible? What are your thoughts / or what is the plan you’ve been happy with? Update: Get up to a $200 Prepaid Mastercard Virtual Account when you buy a device and bring your phone number to Visible. Disclaimer: TTG received a phone to try-out for this review. We do not receive any commissions if you wish to purchase via these links – at this time.